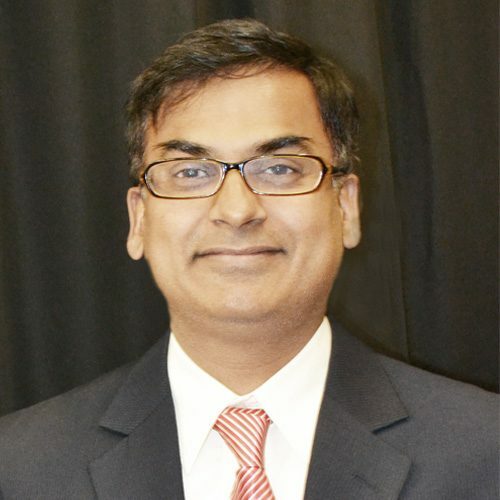 Dr. Praveen Kolar has a bachelor’s degree in Civil Engineering (Sri Venkateswara University, India), masters’ degrees in Aquacultural Engineering and Biological and Agricultural Engineering (Indian Institute of Technology and Louisiana State University) and a Ph.D in Biological and Agricultural Engineering from the University of Georgia. He had also worked for seven years in aquaculture industry in India, during which, his responsibilities were aquaculture water quality management, processing of seafood, and feed distribution. His current research interests include conversion of agricultural wastes into energy and value added products including heterogeneous catalysts and adsorbents. Kolar teaches courses in Food Process Engineering and Heterogeneous Catalysis. He has professional memberships in the Institute of Biological Engineering (IBE) and the American Society of Agricultural and Biological Engineers (ASABE). Jung, W., Savithri, D., Sharma-Shivappa, R., & Kolar, P. (2018), Energies, 11(2). Wakchaure, G. C., Das, L., & Kolar, P. (2016), Transactions of the ASABE, 59(3), 965–974. Zhu, Y. Y., & Kolar, P. (2016), Journal of the Taiwan Institute of Chemical Engineers, 68, 138–146. The goal of this SBIR proposal is convert model lignin compounds into aromatic chemicals. Faraday Technologies, Inc., will provide overall leadership on this proposal whereas NCSU will provide technical assistance with respect to synthesis of platinum/carbon catalysts and analysis of experimental samples. If successful, this research will allow for production of high value chemicals from lignin streams. Volatile organic compounds (VOCs) are a category of pollutants that are generated from swine houses. Typical VOCs found in swine houses include aldehydes, volatile fatty acids (VFAs), phenols, indoles, and volatile sulfur compounds. These VOCs are formed as either intermediate or end products of manure degradation by various microorganisms. Among all the VOCs formed, VFAs, phenols, and indoles are considered as the most malodorous compounds. As the swine production processes become more intensive, the odor complaints from the nearby by residents are increasing. The public complaints regarding the air pollutants emitted from swine operations have threatened the viability and future of the swine industry. The odor problem is more prevalent in states like North Carolina where new residential neighborhoods are being built near the swine facilities. In addition to causing odor, these volatile organics have the propensity to react with NOX to form atmospheric ozone potentially affecting human, animal, plant, and aquatic life systems. Because of the environmental and health problems associated with volatile organics there is a growing interest in controlling VOC emissions from swine housing operations. Hence the goal of this research is to investigate biochar as an adsorbent to remove volatile organics from swine facilities. For this project pine-biochar will be tested as it will be abundantly available in the southeastern United States. Similarly, a mixture of p-cresol, isovaleradehyde, and acetic acid will be used as representative VOCs that are emitted from swine facilities (manure pits and lagoons) compounds. The specific objectives include: (1) laboratory testing of pine-biochar as adsorbent for a mixture of p-cresol, acetic acid, and isovaleraldehyde to determine determine the maximum adsorption capacity of char for p-cresol, acetic acid, isovaleraldehyde and to calculate the kinetic parameters describing the adsorption process and (2) perform field scale testing of pine-biochar in an experimental swine facility, and (3) perform an economic analysis of adsorption technique vis-a`-vis biofiltration and commercial odor suppressants. If successful, our proposed activity can reduce odor and air pollutants from swine facilities, improve the overall air quality, and the health of animals and people associated with swine industry.